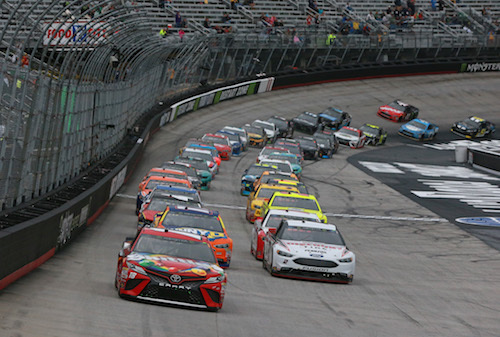 Race car drivers have till now been traditionally been able to use the song of their choice during Monster Energy NASCAR Cup Series pre-race introductions at Bristol Motor Speedway Bristol Motor Speedway in Tennessee. But driver intros for Sunday-to-Monday’s Food City 500 often-rain-interrupted race included an additional twist: Fans, not drivers, chose the playlist. Throughout the month of March, fans had the opportunity to pick the intro song for each of the race’s 39 competitors online.